Adventure Time is an American animated TV series. The main character is Finn who lives in a the Land of Ooo. In this map you will be able to explore a giant tree known as the Tree Fort which is located on the outer border of the Candy Kingdom. 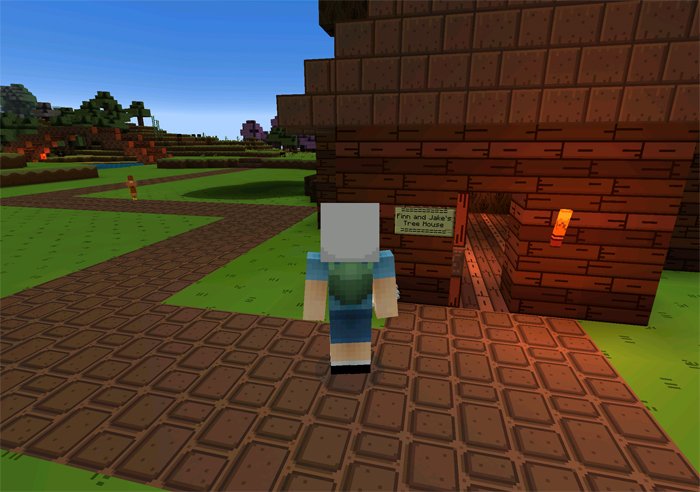 It’s a really cool map which fits perfect with the popular Adventure Time texture pack.